In 1996, Doug Bowers, a veteran master plumber, founded Contrast Mechanical Inc. in a small office adjacent to an ice cream factory in Detroit, Michigan and laid the groundwork for what today is one of Michigan’s leading mechanical contractors. His goal was simple: deliver quality on-time services under a structure that makes sense to its workforce and clients. By consistently delivering quality projects on time, Contrast Mechanical quickly outgrew its humble beginning and, in 2001, moved its office and shop to Ferndale, Michigan. Out of its new office Contrast expanded its services to offer pipe-fitting, HVAC, welding and boiler services. In 2000, Paul Bowers joined Contrast, bringing his college background and field experience to help the company grow. Today, Paul is President and is also the Lead Estimator and Senior Project Manager for Contrast. 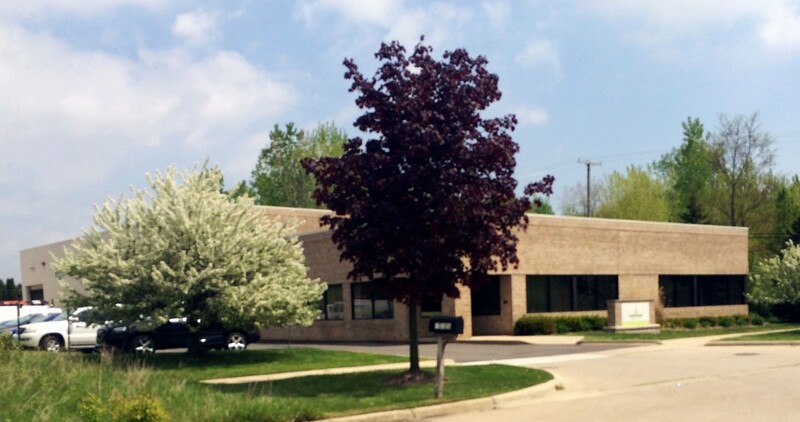 In 2009, Contrast expanded again, moving its corporate offices to Macomb, Michigan, and again continued adding services, as it became a complete mechanical construction company, adding complete HVAC, insulation, controls, balancing and also developing expertise in design/build projects. From the shop floor to the jobsite and boardroom, Contrast Mechanical’s professionals are dedicated to quality workmanship, uncompromising integrity and customer satisfaction. CEO of Contrast Mechanical and veteran master plumber, Doug grew up with plumbing in his DNA as the son of a Master Plumber. After 25 years working in the field, his entrepreneurial spirit led him to further pursue his passion in the plumbing industry, beginning Contrast Mechanical. Beginning in a small office adjacent to Stroh’s Brewery in Downtown Detroit, his enthusiasm and diligence led Contrast to where it is today. The success and reputation of Contrast Mechanical is proof of his dedication to meet the needs of the mechanical industry. As Operations Manager and Founding Member of Nexair Mechanical, Nathan is a second generation sheet metal worker with over 20 years’ experience. New to our team in 2014, Nathan’s history with Contrast extends back more than ten years where he worked for a sub-contractor on many of our projects. As part of our team, Nathan has contributed to create and institute the policies and standards needed to develop a mechanical contracting company geared to utilize the current tools and technologies of the modern construction industry. Todd was instrumental in the development of our Insulation Company, Northern Piping. As Operations Manager Todd is responsible for anticipating and controlling the flow of materials and man power required to meet project schedules. With more than 25 years’ experience and a diverse range of projects in both commercial and industrial under his belt Todd has proven to be a valuable asset. Todd has used his experience not just to manage but develop and train our growing work force. As President, Paul is responsible for the overall success and operation of Contrast Mechanical. Paul’s unstoppable determination has been the driving force behind Contrast’s continual growth and competitive edge. Over the years, he has expanded the business from Plumbing and Pipefitting to include full mechanical abilities such as Insulation, Sheet Metal and Refrigeration. Together with this continuous growth and the best in the industry workforce, Paul’s leadership has allowed Contrast to consistently deliver excellence to its customers. As the longest running Contrast employee, Troy has been an integral part of our companies’ success since day one. As an accomplished plumber Troy has managed to completion many multi- million dollar projects and trained many apprentices into successful journeyman. His keen ability to manage tasks, problem solve and direct the crews on those projects made his transition to Project Supervisor a seamless fit. His expertise allows him to foresee potential conflicts and proactively negotiate man power to meet our client’s needs. As Office Manager of a growing staff and with a Business Management degree from Walsh College under her belt Becky leads the Contrast accounting team. With her task oriented instincts and attention to detail she keeps the Contrast family moving forward. Over her tenure at Contrast, Becky has developed, implemented and maintained many of the policies and procedures that have led to our success. She remains dedicated to leading the office in up to date construction standards, and is a member of the Construction Financial Management Association in order to communicate industry standards with other professionals in the industry.